The value of Norway’s currency, the krone, has taken a dive just during the past 24 hours. The US dollar in particular has become much more expensive, in relative terms, and both economists and analysts are having trouble explaining why. The krone had strengthened in recent weeks and months, and has traded against the US dollar recently at below NOK 8, even as low as NOK 7.80. 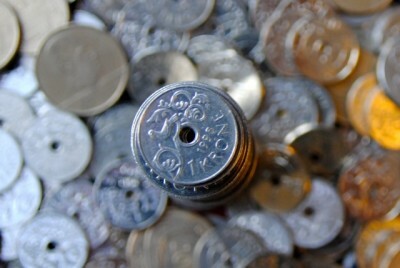 By midday on Friday, though, it cost NOK 8.17 to buy one US dollar, and by 2:30pm a dollar suddenly cost nearly NOK 8.22. That’s a big change and the krone has also slumped in recent days against the euro, which cost NOK 9.54 at mid-afternoon on Friday. DN noted how that’s occurred even though the euro itself has weakened against several other major currencies, following warnings that negative interest rates would continue for some time to come. Norway’s central bank kept its own key policy rate steady on Thursday, at 0.5 percent, where it’s been since early 2016. Analysts don’t think that had, or should have had, any major effect on the value of the krone. DN reported, however, that Halfdan Grangård, chief economist at Handelsbanken Capital Markets, and Niels Kristian Knudsen, Handelsbanken’s currency exchange strategist, noted that Norway’s key economic indicators haven’t met market expectations recently. Oil prices have risen, which usually sends the krone up, but there may be worries over the downturn in the housng market, they noted. A new high for the main index of the Oslo Stock Exchange could also prompt sales of the krone by foreign traders. Norwegian exporters, meanwhile, are happy with a weaker kroner that helps make their prices more competitive. Norway’s tourism industry also likes a weaker krone because then Norway isn’t quite as expensive for foreign tourists, especially, in this case, Americans and Europeans.